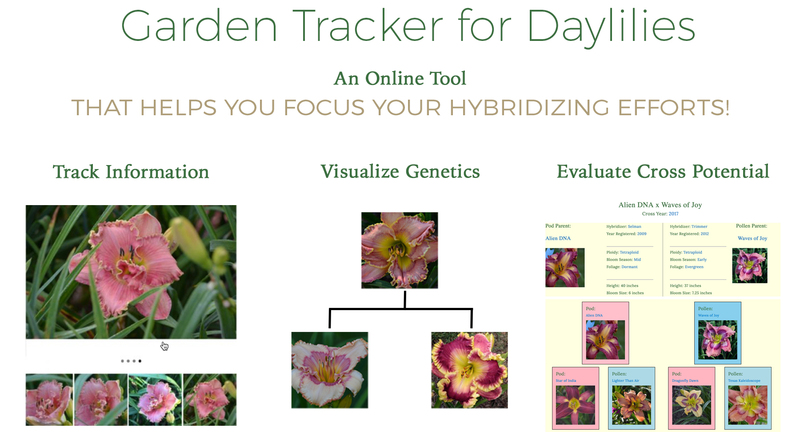 Every Garden Tracker for Daylilies subscription comes with a full website. Websites require online hosting, and hosting fees are incurred yearly. So, most of your subscription cost is going to pay the hosting provider to make your site available on the internet. This gives you access to your data anywhere you have an internet connection! If I start with the Basic plan, can I upgrade in the future? Any plan can be either upgraded, or downgraded, if needs change. Just contact us and we will help you with that. Will my site be backed up? The hosting provider that we use backs up every site, every day. We also offer personalized backups, that can be kept separately from the full site backup. We recommend that if you have entered a significant amount of data that you contact us to do a custom backup of your site. There is no charge for this service. Can I get my data back out, once it is entered into Garden Tracker for Daylilies?